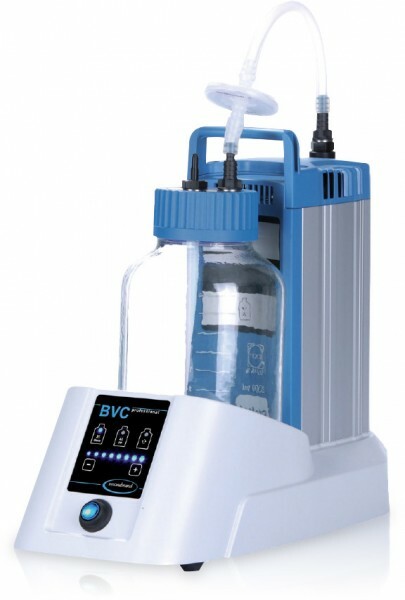 Vacuubrand’s BVC aspiration stations offer better control of fluid aspiration and disposal in a compact, space-saving footprint. Electronically-adjustable suction power and the ability to add a second hand controller to accommodate two users makes the BVC line flexible to meet your laboratory's needs. An autoclavable bottle reduces aerosols and foam formation, and an optional plastic-bonded glass bottle provides secondary liquid containment in case of bottle breakage, improving safety. Optional self-closing quick couplings offer convenient and safe bottle changes when working with biohazards.